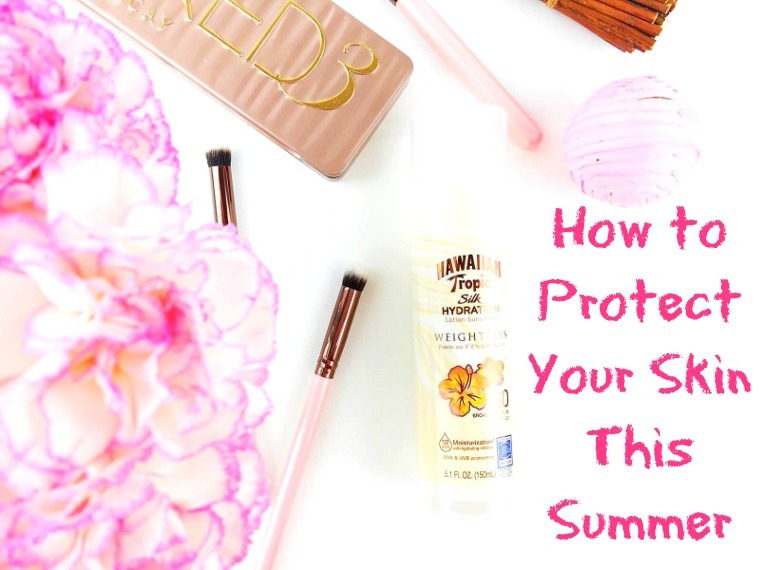 As we are approaching the toastier months of the year (it’s already in the 90s in Arizona) it’s important to be conscientious of the sun and how you’re protecting your skin. Now that I’ve moved from California to Arizona for the long haul, the sun is even more an issue because the heat gets unbearable during certain times of the year. That’s why I wanted to tell you of my new secret obsession. 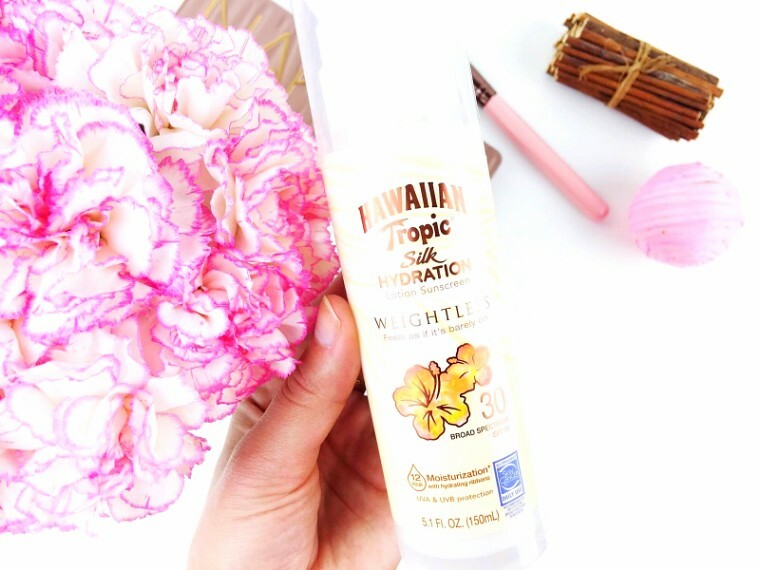 It’s the new Hawaiian Tropic Silk Hydration Weightless Sunscreen and it’s officially become my go-to this season. Hawaiian Tropic is the only indulgent sun care brand offering a line of products with island inspired fragrances and I love that this product gives a sensory experience. What I mean by sensory experience is when I apply this sunscreen, the island scent takes me to my favorite tropical vacation and all of my favorite tropical memories. For me, this is Hawaii and Cancun. So any product that can bring me back to those good times is going to be one of my favorites. Not only does it smell like my island dreams, it is made of island dreams including exotic island botanical ingredients such as coconut, plumeria, mango and passion flower. When I apply this all over my skin, it feels like a light moisturizer while being incredibly hydrating and providing my skin twelve (12) hours of luxurious moisturization. This keeps my skin protected from the sun, while also making it soft as silk. The airless pump is pretty sweet and ensures the lotion has an air-soft texture that feels like a beautiful cloud on my skin. This lightweight feel is my favorite thing about this sunscreen in comparison to all others, because it doesn’t feel like I’m lathering layers and layers on in order to have some SPF action. Not only does this protect and hydrate my skin, but it brings back some of my favorite memories with the delicious island scents. What more could you ask for? Have you tried this incredible sunscreen yet? Disclaimer: Sometimes I am lucky enough to receive products as PR samples. I’m sharing Hawaiian Tropic in my life as part of a sponsored series for Socialstars™ (#HawaiianTropicCrowd)This post was sponsored, but rest assured all opinions and comments are always honest and always my own. I only partner brands I truly love and believe in.